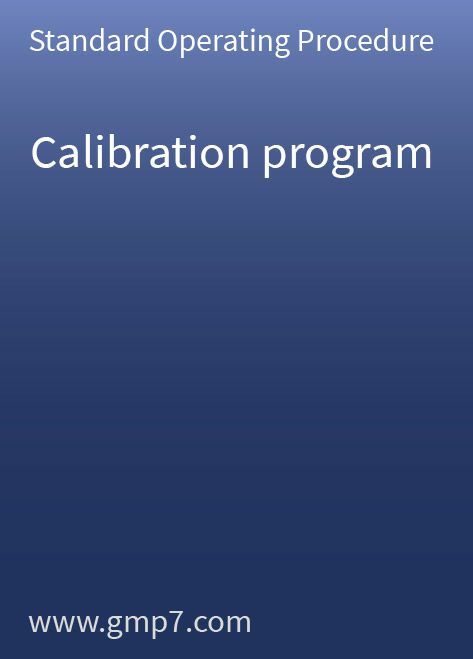 A robust calibration program is the basis for all operations associated with any quality-related measurement. The calibration program is one of the key quality systems for successful GMP operations as well as for ensuring compliance during regulatory inspections. The calibration system as laid out in 21 CFR 211.68 is mandatory for automatic, mechanical, and electronic equipment. However, the calibration program is not a stand-alone program but rather an interface between the calibration department, metrologists, equipment users and the quality assurance department. The effectiveness of this program relies on cooperation among these groups. This SOP (Standard Operating Procedure) sets out the responsibilities of all involved parties in an unambiguous manner and defines the main processes of the calibration program. The SOP (Standard Operating Procedure) only needs a small amount of site-specific modification before an effective calibration program can be implemented. The SOP can be used in the area of drug, drug substance, medical device and biotech manufacturing and contains 12 pages, including 2 attachments.